If you live in the Chicagoland area, you are most likely familiar with how painstakingly cold and brutal Chicago winter weather can be. For those who will be spending more time driving in the snow such as commuting, traveling for business, or holiday family trips, we recommend that you winterize your Jeep to prepare for the colder months ahead! Check Your Fluid- The foremost tip to keep in mind as the winter approaches is to check your antifreeze fluid. To prevent the water in your radiator from freezing, the mixture should be 50:50. One way you can ensure this is by having one of our certified technicians inspect your vehicle. Check Your Four-Wheel Drive- Jeep’s 4×4 function provides better traction when driving on icy, slippery, and snowy roads. Not sure how to check this? Stop by St. Charles CDJR on your way home to have one of our factory trained technicians show you how and inspect your vehicle before it get too chilly! Check Your Tires- Consider replacing your tires with a fresh set as the colder weather causes air pressure in your tires to drop significantly. Visit our Jeep Mopar parts store for authentic Jeep tires that are high quality and help you get a better grip of the roads all winter long. Some other tips that we also recommend is to change your winter blades and refill your wiper fluid accordingly to give you a clear line of sight no matter what mother nature throws your way. 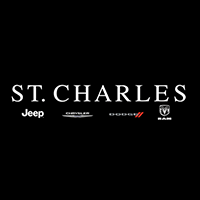 If you are looking for new tires, windshield wipers, or in need of a battery test– visit St. Charles Chrysler Jeep Dodge Ram for a multi-point inspection and all your Jeep service needs today!